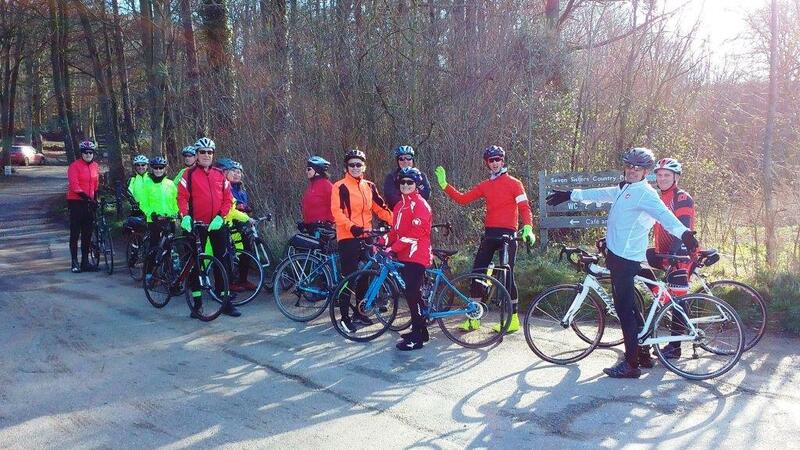 Today’s touring rides to the Lavendar Line railway station at Isfield attracted 16 cyclists. Ten joined the ‘classic’ tourers ride led by Dave Sutton and me; six joined the Tourers ‘Plus’ ride led by Dave Tyler which goes slightly faster. This was a record turnout of members for the touring rides and is in-line with an upward trend of members participating in these rides. That said, Cinders Buffet at Isfield Station always proves popular with cyclists; It’s full of railway memorabilia and they make a decent cup of coffee. Unfortunately, there wasn’t much puffing and shunting on the rails this morning. The Tourers have lots of great rides planned over the next couple of months including a Sunday ride to Bexhill on 31st March, a Romney Marsh tour on Sunday 7th April, a two-day cycle ride on the Viking Trail in Kent on 11th & 12th April and a channel hopper to Dieppe in early May with Phoenix-CTC.